Forkland is an unincorporated community located in extreme southwestern Boyle County along the North Rolling Fork river and nestled in the Knobs region of Central Kentucky. While rural in character, Forkland is located within the Danville Micropolitan Statistical Area. What are Knobs? Knobs are hills that are conical in shape and measure up to several hundred feet high. The Knobs region wraps around the southern part of the Bluegrass region in an arc stretching 230 miles. That places Forkland at the border of the Bluegrass. 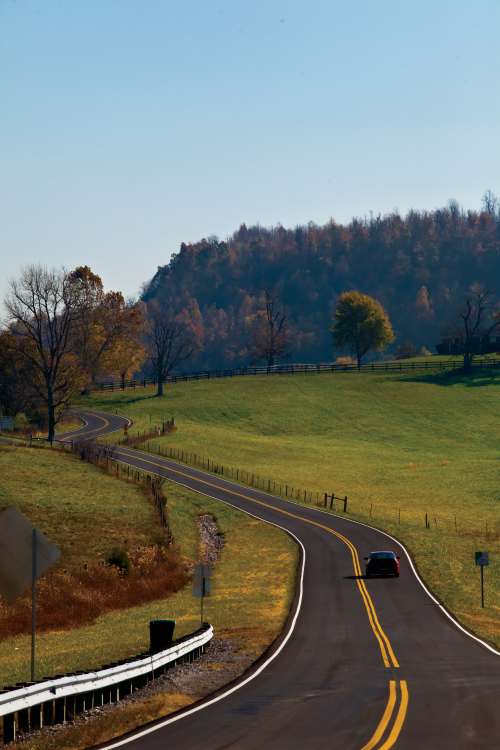 A leisurely drive down the winding turns of Forkland Road (KY 37) west from Junction City through the Knobs and along the bank of the North Rolling Fork is easily one of the most picturesque scenic routes in Boyle County! Along the way down Forkland Road, don't forget to visit the Central Kentucky Wildlife Refuge. The refuge is a 500-acre nature preserve located in the Knobs, bordering a stretch of the beautiful North Rolling Fork. It is open to all as a protected area for the enjoyment and study of nature in its many fascinating forms — a large, typical area of rural Boyle County set aside as a permanent sanctuary for plant and animal forms native to Central Kentucky. The refuge has five main trails with varying levels of difficulty and distance. The refuge is open year-round from dawn to dusk. The Forkland area of Boyle County was a destination for the earliest settlers of frontier Kentucky. Among those settlers was Lucy (Hanks) Sparrow, the mother of Nancy (Hanks) Lincoln and the grandmother of Abraham Lincoln, the 16th President of the United States of America. Lucy moved to Kentucky from Virginia sometime after the birth of her first two daughters, Nancy in 1784 and Sarah "Sally" about 1787. She first lived in the Forkland area of what was then Mercer County (now Boyle County). In 1790, she married Henry Sparrow, Sr. Lucy's daughter Nancy later moved to neigboring Washington County with other relatives. There, she met and married Thomas Lincoln in 1806. Nancy and Thomas later became the parents of President Abraham Lincoln on February 12, 1809. Lucy and Henry Sparrow lived on Scrubgrass Road in the Forkland area of what became Boyle County for over 34 years. Together, they had eight children whose descendants are scattered throughout Boyle, Mercer, Anderson, Washington, and other counties of central Kentucky. Because so little is known about the maternal side of President Lincoln's family, the Forkland Abraham Lincoln Museum was established. 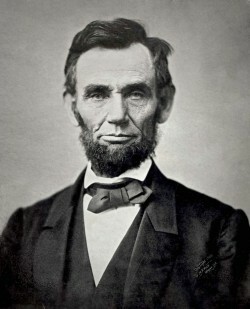 In the museum, you will find photographs of Lincoln family members, Lincoln artifacts, and authentic newspapers about the death of Abraham Lincoln. Other artifacts in the museum demonstrate the life that settlers like Lucy and Henry Sparrow and later generations lived on the "Fork". The museum welcomes you to visit and experience what life was like in the 1800s and early 1900s in the Forkland area. Visitors may also conduct genealogy research in the history room or purchase items in the gift shop. The Forkland Community Center was founded in 1971 when the Forkland School closed after operating for 43 years. Residents of the Forkland community pledged funds to buy the school buildings and incorporated the Community Center to preserve and promote the rural heritage of the unique and scenic Knobs area and to provide a facility for many educational and recreational community activities. The Forkland Community Center maintains the two historic school buildings, which are listed on the National Register of Historic Places. Also located on the grounds is a reconstructed 1790s-era log cabin that demonstrates Forkland's rich frontier heritage. Forkland offers several special events open to the public during the year, including the Forkland Heritage Festival & Revue each October, one of the few true folk festivals still celebrated in Kentucky. Other annual events include a Pie Supper in March, a High Tea in May, the Halloween Carnival, an elegant Christmas Dinner, and Twilight Christmas. Forkland is also well-known for its many talented community artists, whose works are displayed throughout the Community Center buildings and who teach weekly art classes for both adults and children. For more information about Forkland, contact the Forkland Community Center.